Sustaburn Biomass, Woodfuel & Renewable HeatingNewsprojectsWe are out installing… never mind the hailstones! We are out installing… never mind the hailstones! 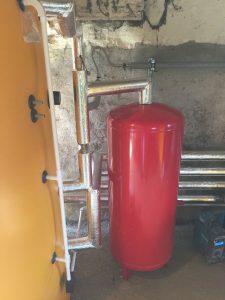 Our installers have just been putting the finishing touches to a biomass heating system in a working dairy farm. They are out now (in this very changeable weather!) installing a large boiler system on a Lakeland estate. 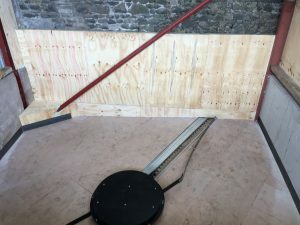 We have had a lovely couple of weeks’ weather, but the sleet, hail and bitter wind are a good reminder that upgrading old heating systems is an important job. 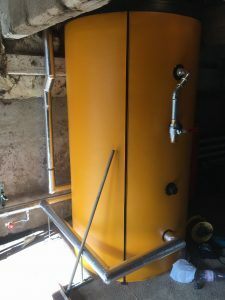 Switching to biomass with one of our highly efficient KWB boilers will keep you cosy in the worst of weathers, with the added warm glow that you are changing to a truly sustainable and environmentally-conscious way of life. Homebuilding & Renovating Show – Harrogate 4-6 Nov – FREE TICKETS! Sustainable Building Awards 2016 WINNERS! © 2017 Sustaburn. All rights reserved.